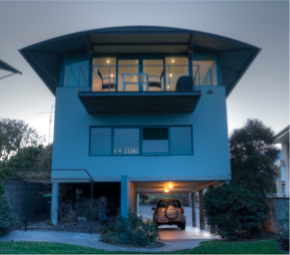 A contempory design & mellowed by time, this multi level Beach House is located on the fringes of the sand dunes at beautiful Tura Beach. 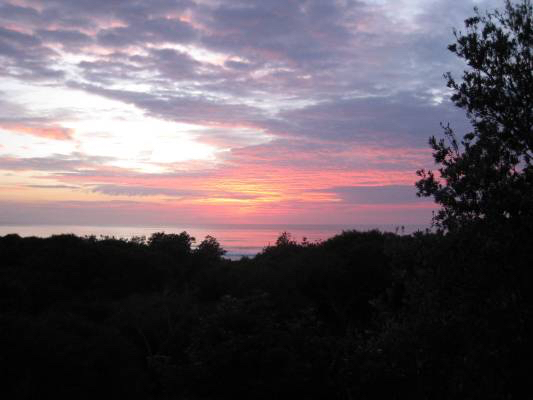 The property offers direct beach access to the ocean via the back gate with no roads to cross. 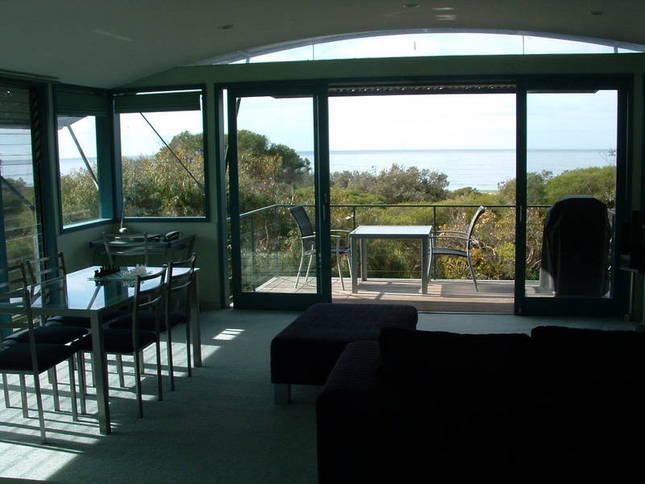 Swim, surf, fish, soak up the sun or stroll to Tura Headland, Back Lake or Short Point. 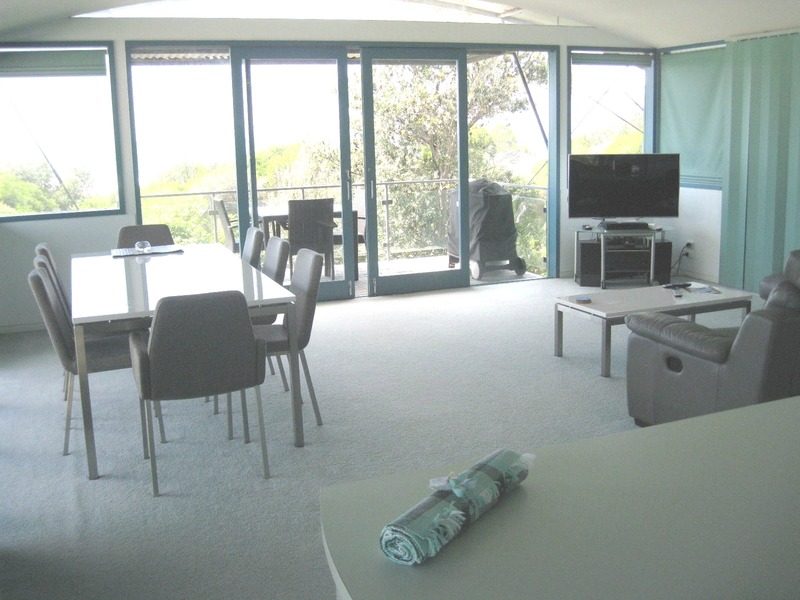 Beach House One is fully equiped for your comfort. 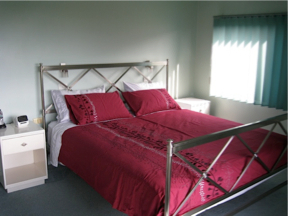 The master bedroom (king sized bed) with Walk in Wardrobe has an ensuite with spa bath/shower overlooking a native planted back garden and grassed area. 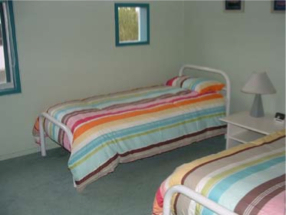 A second bedroom (2 single beds) is adjacent to the main bathroom and entrance area. 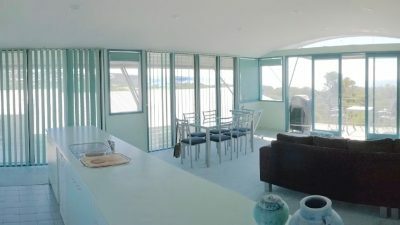 The upstairs dining/kitchen/living/balcony area has beautiful ocean views with all 4 walls being louvered windows or glass sliding doors to capture the sea breezes. The kitchen is fully equipped with MIELE walloven, ceramic cooktop & dishwasher, microwave, crockery, cutlery and everything you could need to cook up a storm. Experience spectacular ocean sunrises whilst enjoying a BBQ breakfast on the balcony accompanied by lorikeets. A relaxing lounge has a LCD flat screen, VCR/DVD, hi fi system, CDs,DVDs, boardgames, a book collection plus access to WIFI & FOXTEL. 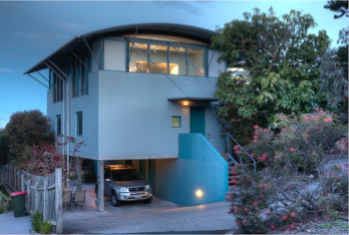 On ground level there is undercover parking for 2 cars, full laundry facilities (washing machine, dryer & outdoor line) next to a level grassed backyard with an outdoor shower. 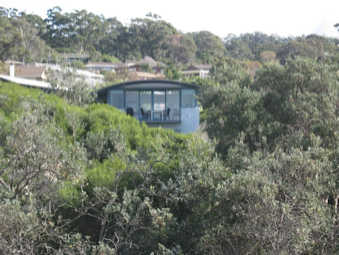 The back gate opens onto a cleared walkway with direct beach access. 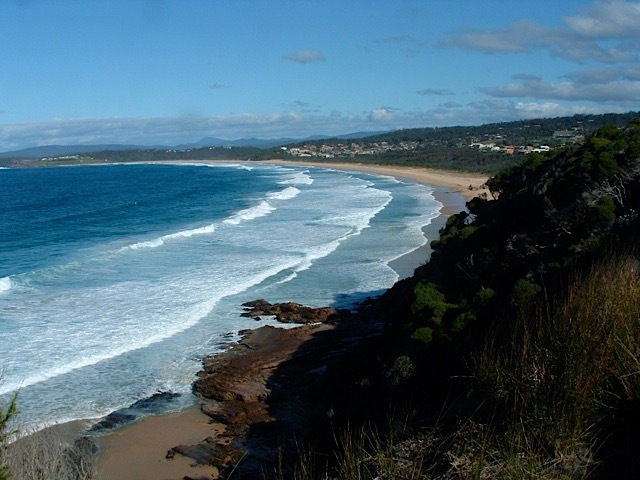 Tura Beach is only a 5 minute drive from central Merimbula, which is located on the Sapphire Coast of NSW; almost halfway between Melbourne & Sydney. 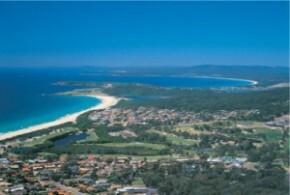 The beaches, lakes, estuaries, forests, numerous golf courses and country charm ensure a relaxing haven for holiday makers. 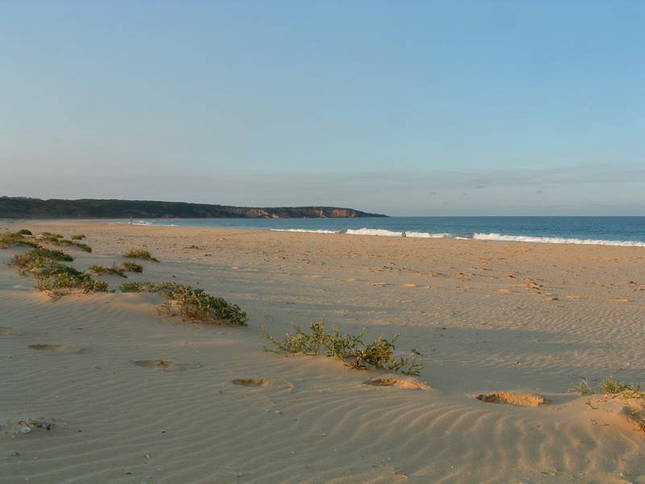 With warm south moving ocean currents until late April and the Bega valleys micro climate, enjoy a quieter beachside experience for much of the year. An added treat during Spring is the southern migration of numerous humpback whales and their calves. 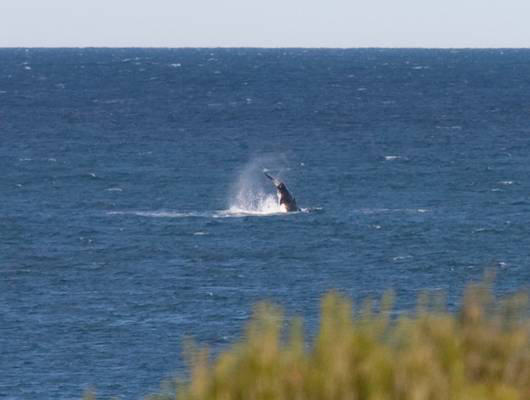 Whale watch from your balcony, swim, fish, surf from just over the sand dunes or hop in the car to enjoy all the attractions of the Sapphire Coast. For golfers, Tura Beach Country Clubs championship course (designed by Peter Thompson) is less than 300metres from Beach House One. 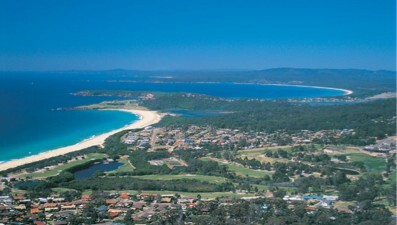 Within a 20 minute drive are the picturesque courses of Eden, Bega, Pambula-Merimbula and Tarthra. Visitors are very welcome to use these facilities. 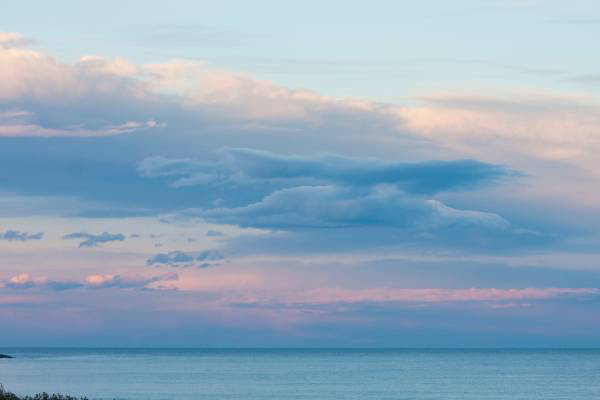 Local markets, galleries, lush National Parks & old growth State forests await your perusal. Get hooked on seafood with fresh local oysters, mussels, prawns & fish which feature on the menu of restaurants, clubs, Hotels and cafes or just enjoy the ambience and dine in at Beach House One. 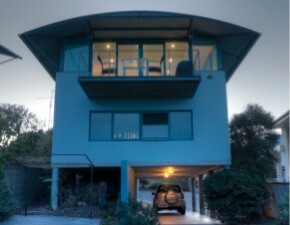 Copyright © 2019 Beach House One. All Rights Reserved.